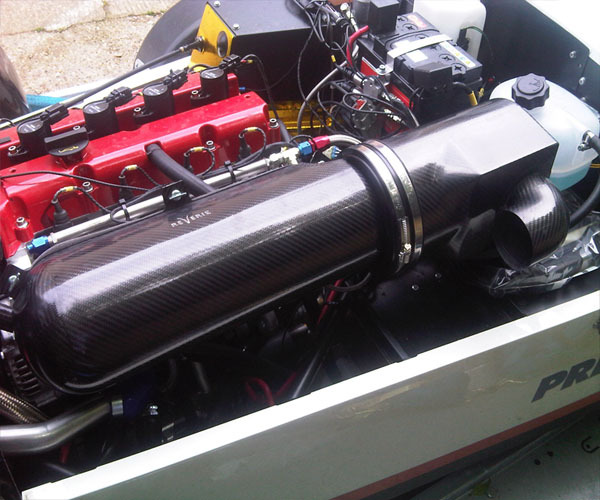 A combination of a Reverie Zolder 112RH entry air box, Indy 200 FC induction canister with a 90º, 75mm diameter air inlet snorkel and 75mm Carbon Fibre NACA duct in the bonnet for cold ram air can be fitted to a Caterham Seven fitted with the 1.6L Ford Sigma engine which was introduced by Ford in 1995. 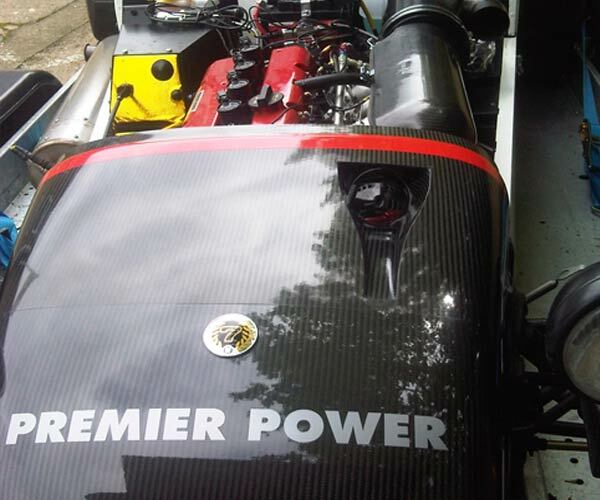 This setup is suitable for the 125bhp, 150bhp and the 1.6 Ti-VCT EU4 engine as fitted in Caterham Seven variants. 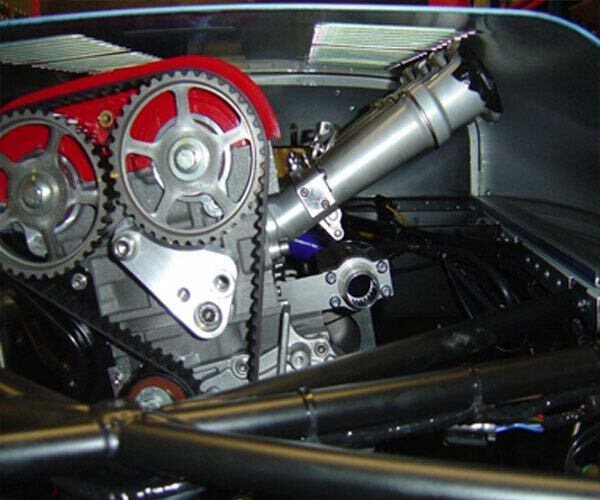 Ford Sigma engine with AT Power throttles, before airbox system. Whether you require a Carbon Fibre flat back plate or an Alloy flat back plate. 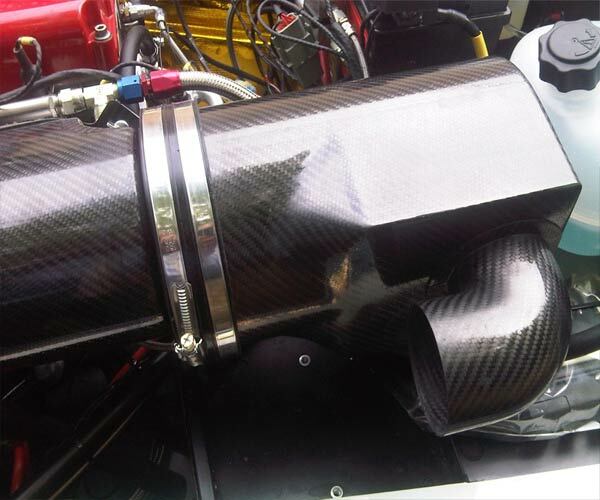 How you intend to mount the air box into your car, its location and routing of the airflow. For example, if you wanted to mount the air box along the intake trumpets or pipes rather than at the flanged joints then you would require 4 x rubber trumpet grommets.